There are plenty of things to see and do in the area. 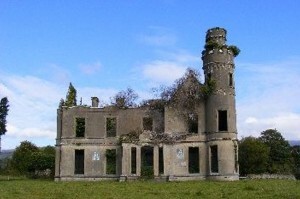 The bustling heritage town of Kenmare is a short drive from Doire Farm Cottages. 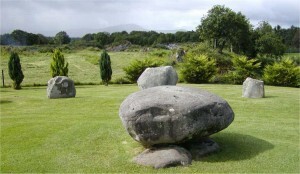 With its brightly coloured shops, world-renowned bars and restaurants and stunning scenery, it has plenty to offer including an ancient stone circle, one of the biggest in South West Ireland. Close by, at Templenoe, is Coss Strand, a safe cobble beach for swimming. Doire Farm Cottages is the perfect base for exploring the Ring of Kerry, the Ring of Beara, the Dingle Peninsula, Skellig Rock, Blarney Castle, West Cork and walking the Kerry Way. 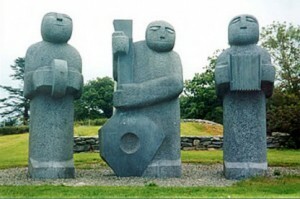 Kilgarvan is a traditional village, just 2 miles from Kenmare. It hosts numerous pubs, two shops and a motor museum. Here you can meet with locals. Ardtully Castle is just a short distance away and is worth the visit. The Roughty River runs from Kilgarvan to Kenmare – all you have to do is bring your fishing rod, buy a license and away you go. Game shooting trips can be arranged – two months notice is required to organise a license.